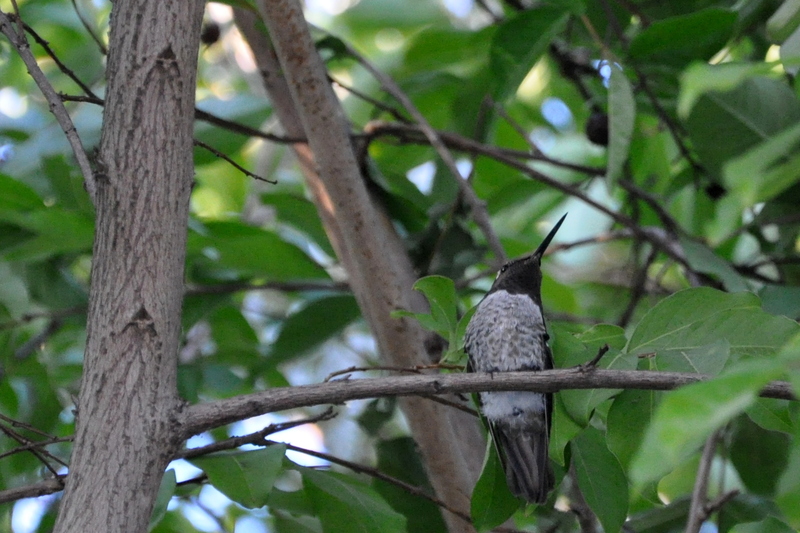 We took a hummingbird class at Los Gatos Birdwatcher last week, then met for a birdwatching field trip over the weekend. 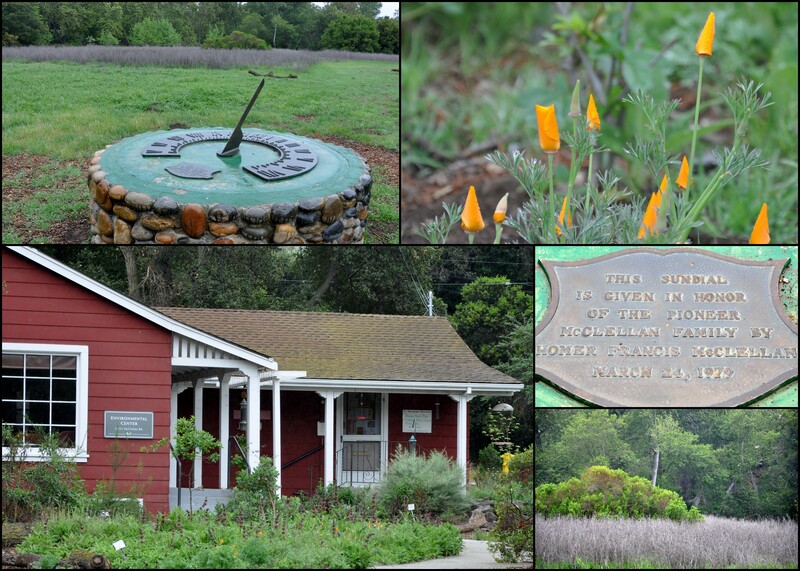 Lead by Lisa Myers of Let’s Go Birding, we drove to the Santa Clara Valley Audubon Society. Located at the tip of McClellan Ranch in Cupertino, trees, native shrubs and a number of feeders attract resident and migrating birds. We stood under the awning with a light rain falling, and made like a tree. Trees with binoculars, that is, and a few cameras, too. Lisa pointed out that some people ‘bird’, some people photograph and some (raising my hand) try to do both. You can’t do both well, but I tried, knowing I wanted to share as much as I could with you. Like so many things in life, once you tune in to something, the world opens up. Lisa called out several species, pointing out gender, mating patterns, feeding habits and other bits of wisdom. She has a dry sense of humour along with a vast knowledge of native birds, making for an interesting and entertaining morning. She jokingly pointed out that serious birders will sneer if you mention seeing Canadian Geese and Seagulls. The correct terms: Canada Geese and Gulls. Conversely, she has to bite her tongue when customers come into the store and swear they saw a canary or an eagle in their back yard. Although we did see hummingbirds, they were fairly shy. They didn’t approach the feeder until we were well out-of-the-way. At home the resident hummers are quite bold, and will buzz up to us on the deck in the summer. They definitely know the hand that feeds them. No matter. We saw plenty of other birds and I came away with even more appreciation of the songbirds in our area. Male birds flaunt their colorful plumage in order to attract a mate. The female, on the other hand, is nondescript. Since she’s the one sitting on the nest incubating the young, it makes sense that she blends in, keeping her and the nest safe from predators. 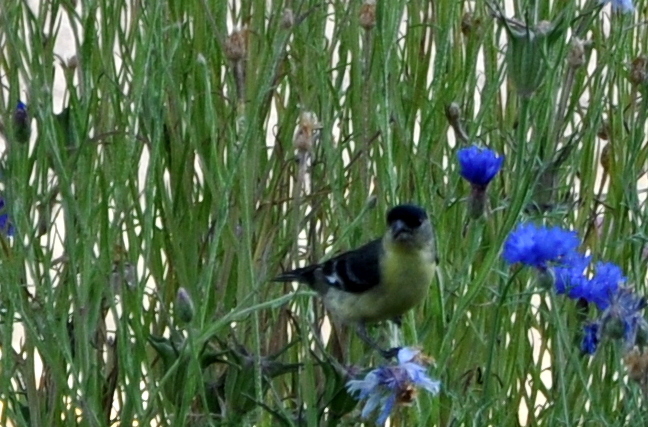 When I took the picture, below, I didn’t even know that the female of the pair was there. Some of the pictures, below, are clearer than others, but I wanted to give you an idea of the variety on view Saturday morning. 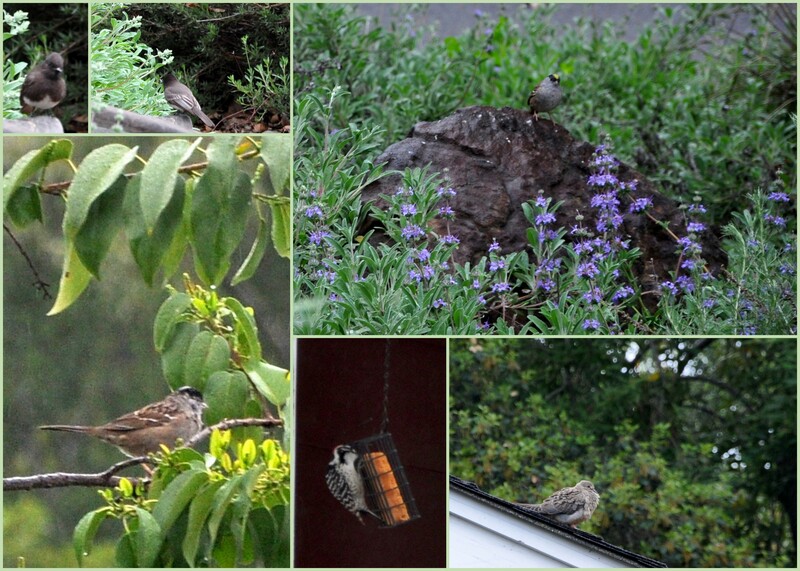 Upper Left: Black Phoebe, Song Sparrow (?) Woodpecker and Mourning Dove. I’ve been working from memory and my trusty Local Birds of the San Francisco Bay Area Quick Guide to identify the birds pictured below. I’m going to have to check with Lisa to see if I got it right. I’m more confident about identifying this crowd: Behind the stop sign, a House Finch and a Lesser Goldfinch, at the feeder, Lesser Goldfinch, two White-crowned sparrows, and at the top of the tree, a White-tailed Kite. Do you have a favorite songbird in your neighborhood? Please let me know in the comments below. Sharing of photos encouraged. 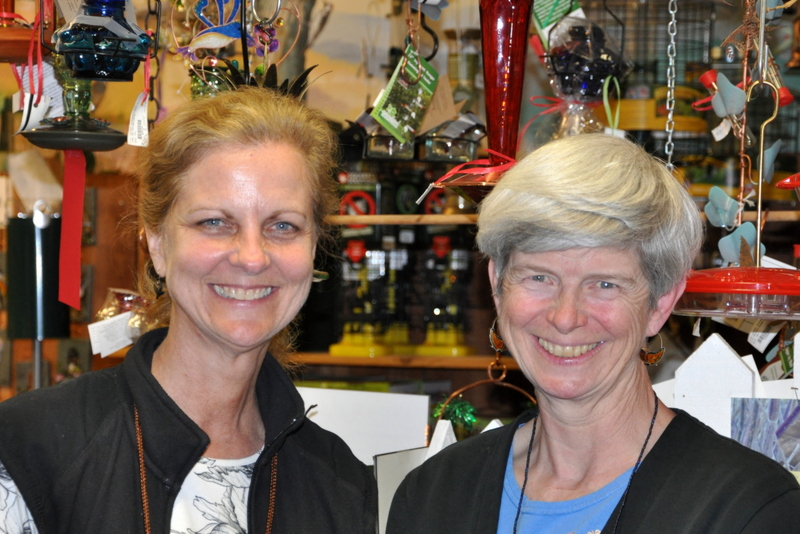 Lisa Myers’ Let’s Go Birding leads tours and workshops. 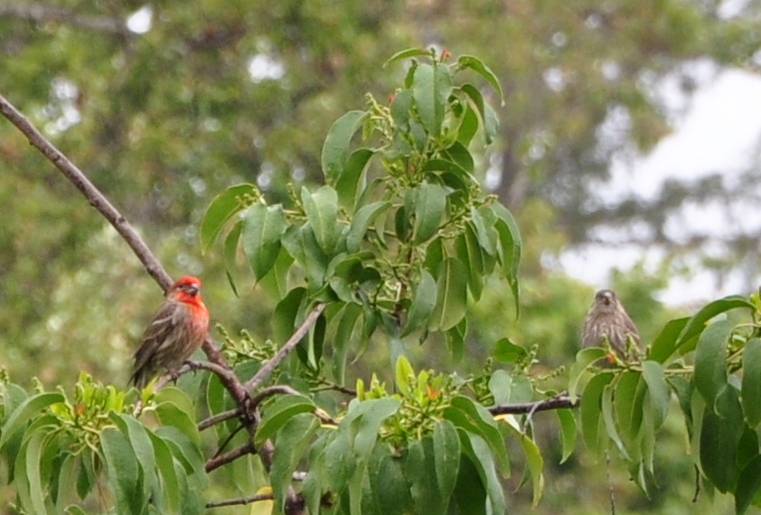 Los Gatos Birdwatcher, for all things birding. 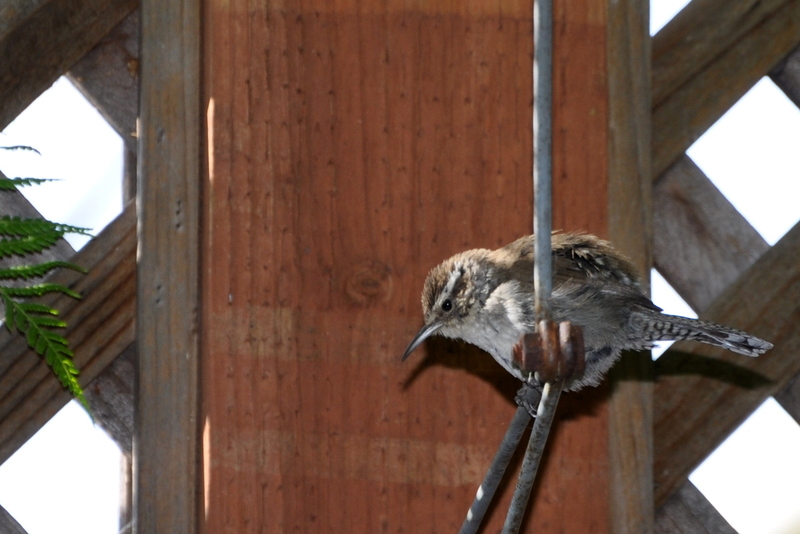 Wild Bird Care Center Quite often, wild birds are ‘over rescued’. 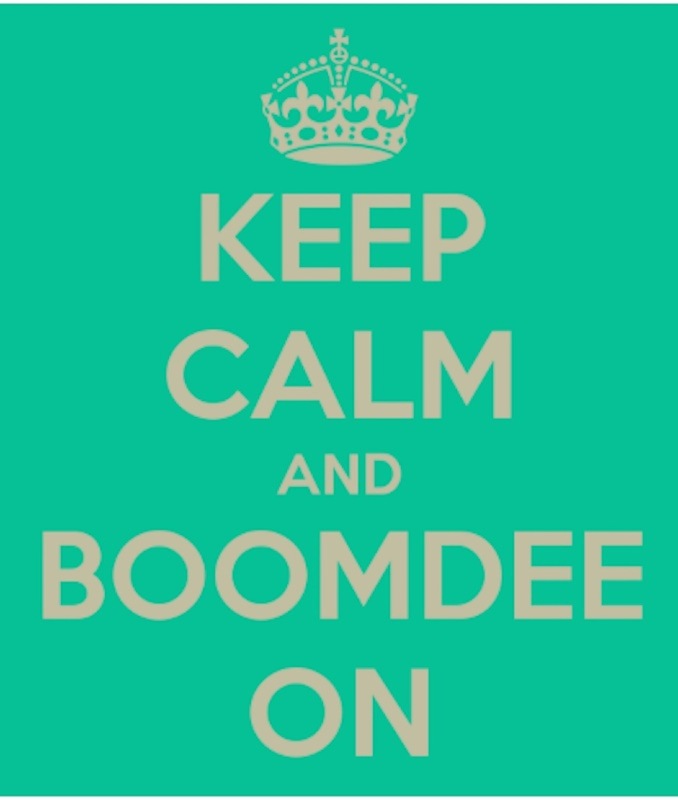 This site has many great tips for determining if and when to intervene. the nature lover’s general store, specializing in everything to do with bird feeding and bird watching. If you’re local, or planning a visit to the area, it’s a must see. The owners and staff are wonderful people, knowledgeable and helpful in every way. Their current dog in residence is a chocolate Cocker spaniel named Marley. Lisa Myers of Let’s Go Birding presented the hummingbird class, then lead us on a two-hour field trip Saturday morning. We had so much fun. Lisa leads a variety of birding trips throughout the bay area. She’s incredibly knowledgeable with a wonderful sense of humour. We’ve been feeding hummingbirds in our garden for as long as I can remember. 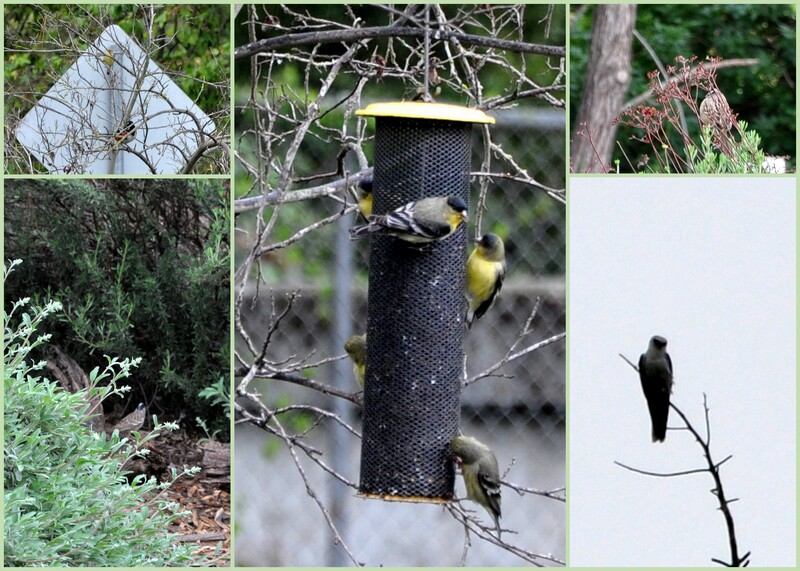 We have several feeders and hummingbird-attracting plants. I’ve read a number of books and articles over the years, but still found much to learn. It’s also nice spending time with a group of like-minded folks. 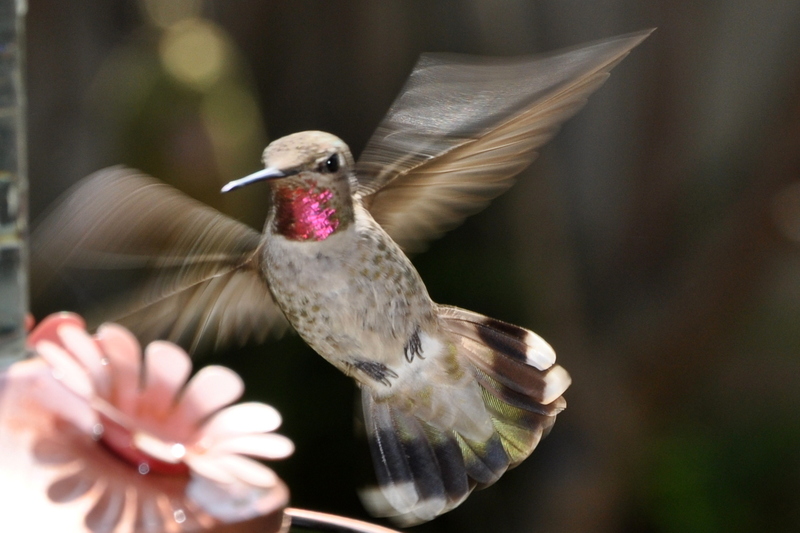 There are over 300 species of hummingbirds, but only six or seven in the Bay Area. Hummingbirds are native to the Americas. They’re not found anywhere else in the world. Yellow attracts bees, red attracts hummingbirds. Therefore a hummingbird feeder with yellow plastic ‘flowers’ sends out mixed messages. 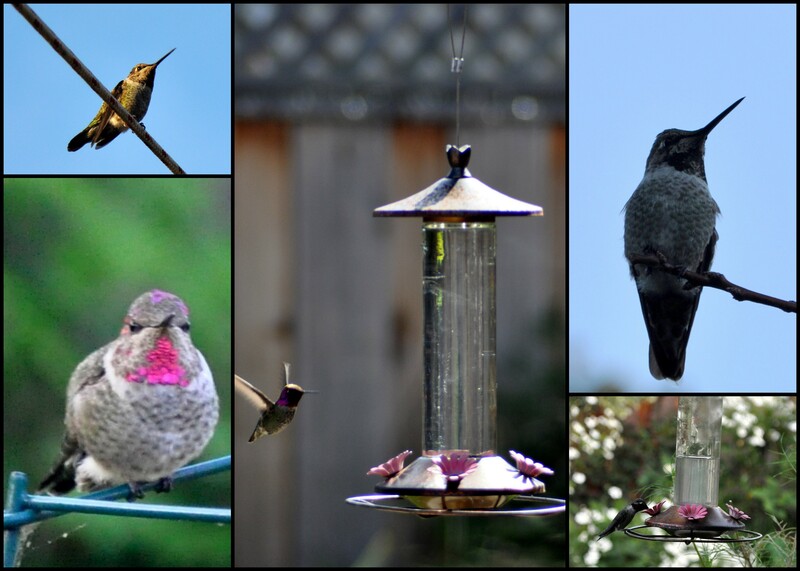 Anna’s Hummingbirds, native to our area, live here year round. 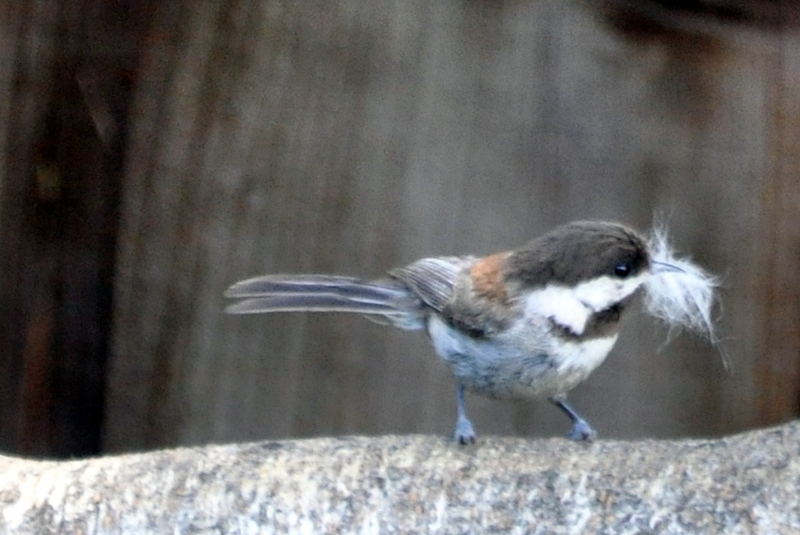 There is no need to remove feeders during the colder months. Hummingbirds are the only bird that can hover in the air, as well as fly forward and backward. Even sleeping hummingbirds have huge metabolic demands that must be met simply to survive the night when they cannot forage. To meet this energetic challenge, hummingbirds save enough energy to survive cold nights by lowering their internal thermostat at night, becoming hypothermic. This reduced physiological state is an evolutionary adaptation that is referred to as torpor. Torpor is a type of deep sleep where an animal lowers its metabolic rate by as much as 95%. By doing so, a torpid hummingbird consumes up to 50 times less energy when torpid than when awake. 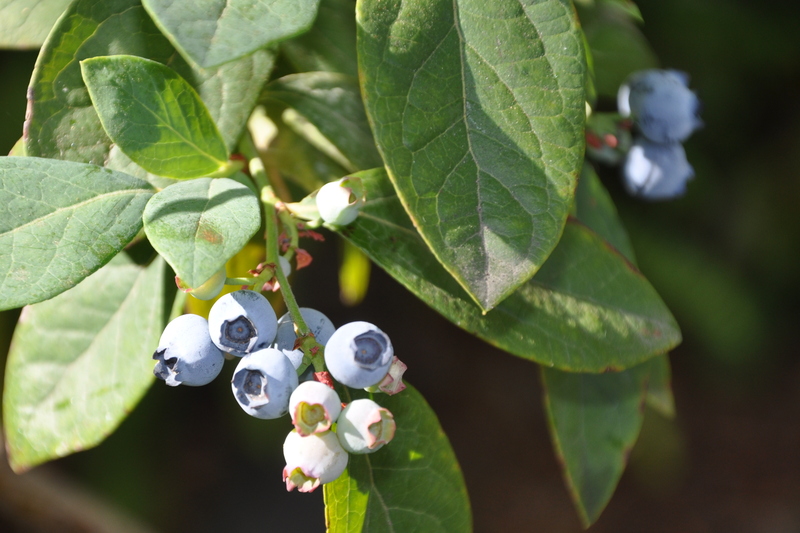 This lowered metabolic rate also causes a cooled body temperature. A hummingbird’s night time body temperature is maintained at a hypothermic threshold that is barely sufficient to maintain life. This threshold is known as their set point and it is far below the normal daytime body temperature of 104°F or 40°C recorded for other similarly sized birds. Please be sure to check back tomorrow for news and pictures from our two-hour field trip to the Santa Clara Valley Audubon Society.